Although the styling has divided opinion, the latest 3 Series has most agreeing that it points the way forward for the compact executive saloon with a coherent and sensible template. 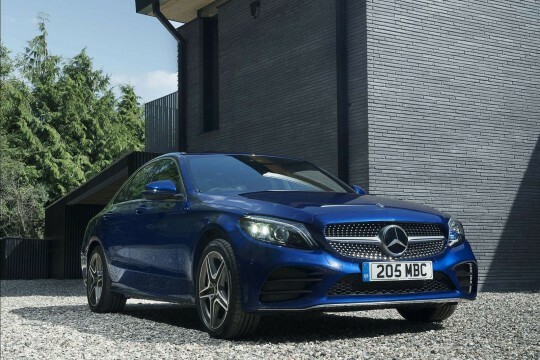 Running costs are now the key criterion when it comes to choosing a car of this ilk and with this 318d, they set an impressive standard. 62mph in under nine seconds combined with fuel returns of nearly 70mpg and a 111g/km CO2 figure is always going to impress. The challenge BMW faces with this car though, is that the gap between itself and the chasing pack when it comes to efficiency is no longer the yawning gulf it once was. Fortunately the 3 Series can rely on what has now become Plan B, namely the way the car drives. Bolster that with improved interior quality and the case for this improved sixth generation car looks extremely solid. The BMW 3 Series is a car that needs little in the way of introduction. It's the big volume seller of the range, acting as the cash cow that allows BMW to go racing, build exotic sports models and develop new technology to crush all before it. In order to shift huge numbers of 3 Series models, the customer proposition has to be just right and this is something that has been tweaked to perfection over a number of years. An all-new model is, therefore, something of a gamble for BMW. It has yet to get a 3 Series badly wrong but the latest car looks to be a bigger gamble than any 'Dreier' that has gone before it. It's also a car that marks a change in focus for the 3 Series. From now on, the 3 Series will always be a four-door saloon or a five-door estate. Coupe and cabriolet models will be badged 4 Series, in line with BMW's new naming nomenclature that gives sports and coupe models an even number and saloons and estates an odd number. This sixth generation car, dubbed 'F30' by BMW insiders and car nerds alike, is up against some stiff competition. But with engines like the 143bhp diesel unit of the 318d variant we're testing here, it can pack the right kind of firepower whatever the opposition. 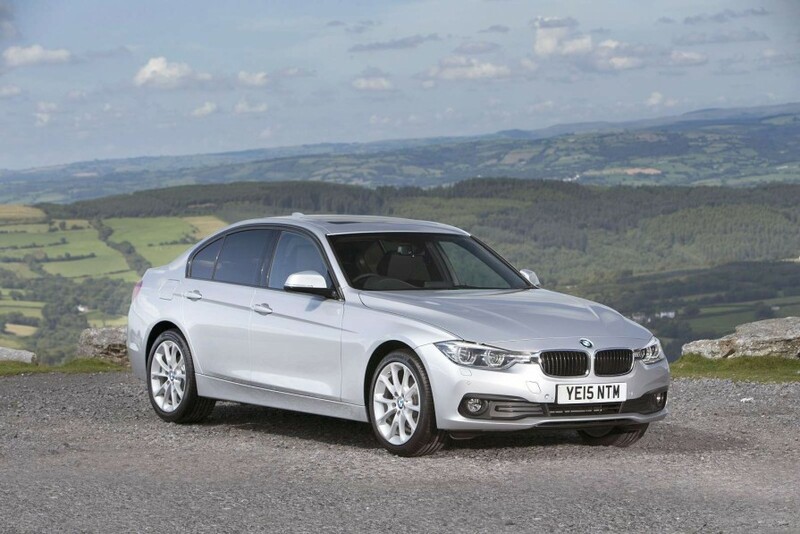 This improved sixth generation 3 Series model continues on with some well-established themes. Rear wheel drive, high efficiency, and a focus on driving dynamics are a given. BMW has worked hard to reduce weight in the 3 Series, further assisting agility and efficiency. All versions of the new 3 Series saloon feature Drive Performance Control as standard - a switch which allows the driver to swap between up to four driving modes, varying from sporty to extremely economical. The four modes are ECO PRO, Comfort, Sport, and Sport +. 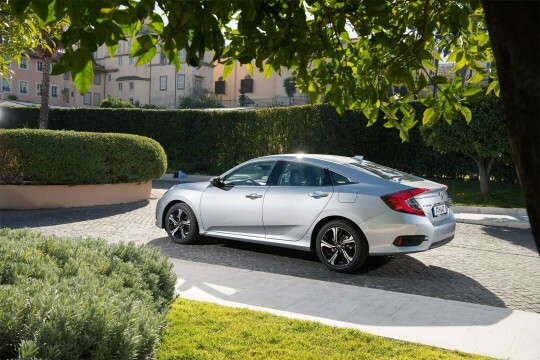 Sport + is included only on Sport models or with selected optional equipment. We tried the standard 150bhp 318d variant with a 2.0-litre diesel that felt genuinely brisk, sixty coming up in 8.6s, though the power band is fairly narrow and it's done its best work by 3,000rpm. It never gets harsh and thrashy at any point in this midrange, and the manual gearbox is slick and wristy so changing gears to keep it on the boil is no great hardship. Most cars will see the majority of their miles plugged into sixth gear on a motorway, for which it's perfectly happy, with the engine nudging around 2,000rpm at typical British motorway cruising speeds. The steering feels slick and accurate, but not laden with detailed surface feedback. You'll emerge from the 318d full of admiration at how BMW's chassis engineers have managed the compromise between ride and handling. In other words, the bar's just been raised. One thing that hasn't changed all that much is BMW's low-key approach to mid-life styling updates. Blink and you'll miss them. Stand looking at the car for fifteen minutes and you might still miss them. The key design theme seems to be to make the car look wider and lower than before, so BMW has revised the front and rear bumper assemblies with broader horizontal elements. The headlights have also been tinkered with, LED indicators now acting as eyebrows across the top of the light units. At the rear, the tail lamps are full-LED units with more heavily curved light bars. There is also a revised range of wheels, with rims up to 19 inches in diameter available as an option - and 20-inch wheels can be selected from the BMW accessories range. The cabins have had a similarly light touch applied to them, with a splash of chrome here and a high-gloss surface there. Other updates include cup holders in the centre console with a sliding cover and an additional practical storage area for items such as a smartphone, positioned forward of the cup holders. There's a respectable amount of rear legroom for what remains a manageably-sized car. The saloon's luggage bay still measures 480-litres - or there's the Touring estate version with 495-litres. You'll be spending somewhere in the £29,000 to £31,000 for a saloon version of this 318d, depending on the trim level chosen. Therre's a premium of around £1,500 for the Touring estate version. This 318d variant represents a useful £1,100 saving over the 190bhp 320d, the next model up on the ladder. This kind of pricing represents brave bargaining by BMW, edging up the price of its big-selling diesel models in a bid to find what the market will bear. Especially so when key rivals have announced cars that undercut it and offer very competitive emissions and economy figures. Brand loyalty being what it is, I expect the good burghers at BMW AG to be confident of success. Let's just say I wouldn't want to play any of them at poker. Equipment-wise, even the least expensive variant sets its stall out with 17-inch alloy wheels, satellite navigation, front foglamps, air-conditioning, Bluetooth compatibility for your mobile 'phone, a six-speaker BMW Professional radio with a 6.5-inch colour screen, USB compatibility and iDrive functionality, keyless starting, a trip computer, a leather three-spoke multi-function steering wheel, cruise control, an alarm and hill start assist to stop you drifting backwards on uphill junctions. For this improved MK6 model, the Munich brand has increased efficiency across the board, using measures like the adoption of efficient electromechanical power steering, Brake Energy Regeneration, on-demand control of engine ancillary components, tyres with less rolling resistance and an Auto Stop-Start system that cuts the engine when it's not needed when you're stuck in urban traffic or waiting at the lights. On top of that, weight has been pared back, and aerodynamics have been improved to a figure as low as 0.26 thanks to features like the Aero Curtain which wraps the front wheels in their own cocoon of air to reduce turbulence. And the results of all this are very impressive - especially in variants like this 318d diesel, in its most frugal guise able to return a combined cycle fuel figure of 67.3mpg plus a CO2 return of 111g/km. That's about the same as you'd get from the entry-level 316d but not quite as good as the stand-out eco version, the 320d Efficient Dynamics, which manages to wring 72.4 miles from a gallon of diesel and emits a mere 102g/km. That's about what Peugeot's diesel electric hybrid 508 RXH can deliver. It's just that the BMW isn't carrying any batteries about with it. "Really good product knowledge and able to search for our specific requirements. We needed a quick turnaround and Joseph McHugh at Hippo was exceptional in delivering this. He was always available on p..."